John Creagh celebrated his birthday on April 22nd with a luncheon at the Grand Canal Hotel. John is officially from South Dock St, as were his family and friends, grandparents and great grandmother. 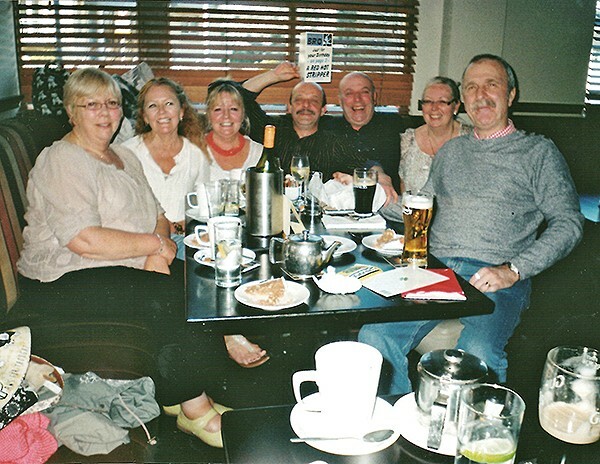 In the photo are cousin Mary Tobin, sisters Angela Murphy and Carmel Gough, birthday boy John, brother David, wife Celine and brother in law Tommy. Happy belated birthday greetings, John, from Ann Marie. 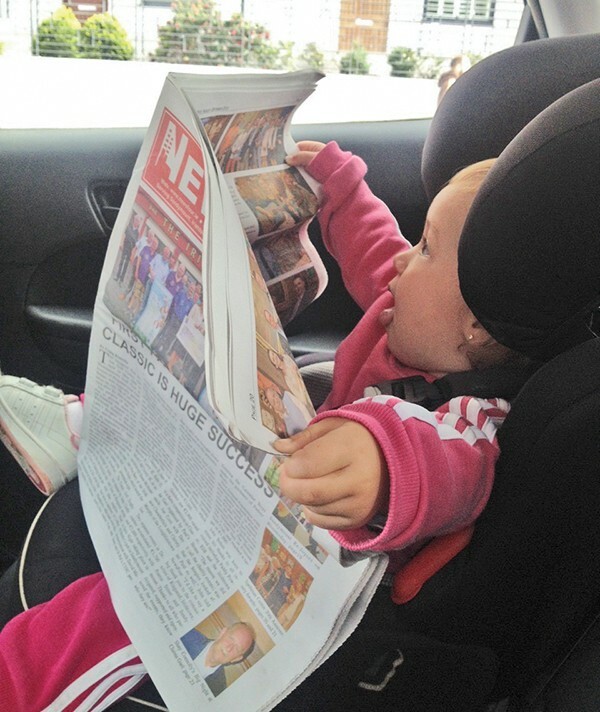 Even an 18 month old loves an oul’ read of the News Four! Éire O’Sullivan from O’Rahilly House, Ringsend was born 26/01/2014. She is the daughter of Vicky O’Sullivan and granddaughter of Elizabeth Kelch. Irish Hospice coffee morning was on September 17th. Among those taking part were Monica Gannon, Breda Collins, Alice Weafer, Carmel Magee, Rose Behan and Alice Foley. 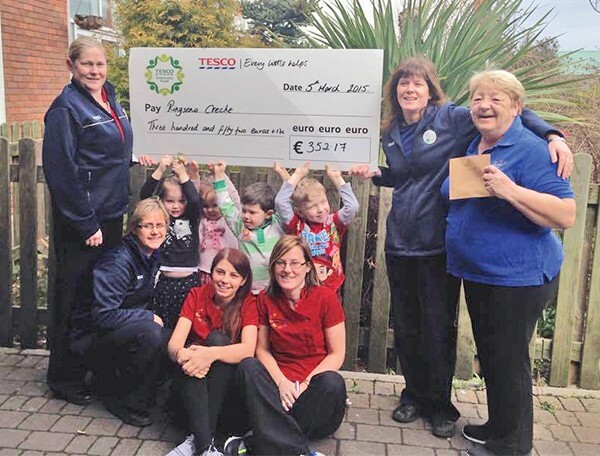 Ringsend Creche would like to thank The Tesco Community Fund for all their help over the last year. The funding helped with new clothing for their Preschool Outdoor Programme and with essential equipment for their Afterschool Programme and Summer Camp. Photo courtesy of Ringsend Creche. 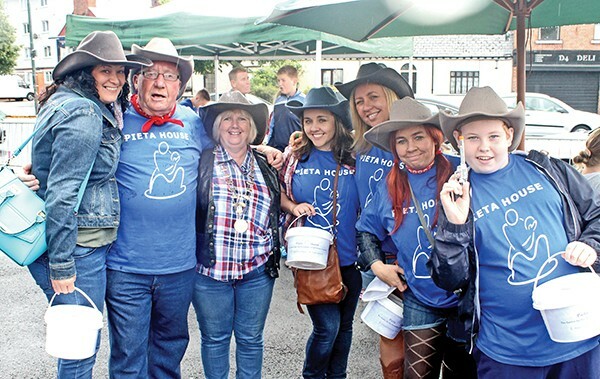 Volunteers collecting for Pieta House at Irishtown House’s Wild West Day, on Saturday August 29th. 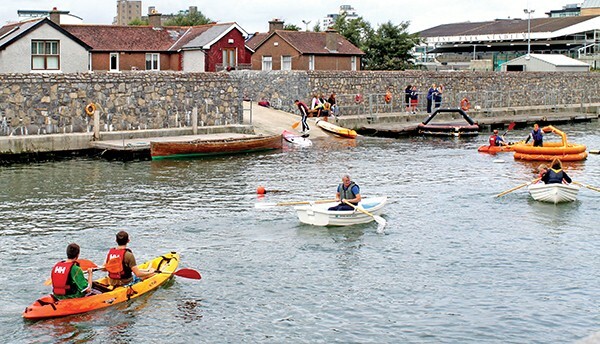 Every year the Ringsend Sea Scouts take the school for a day out on the Dodder. 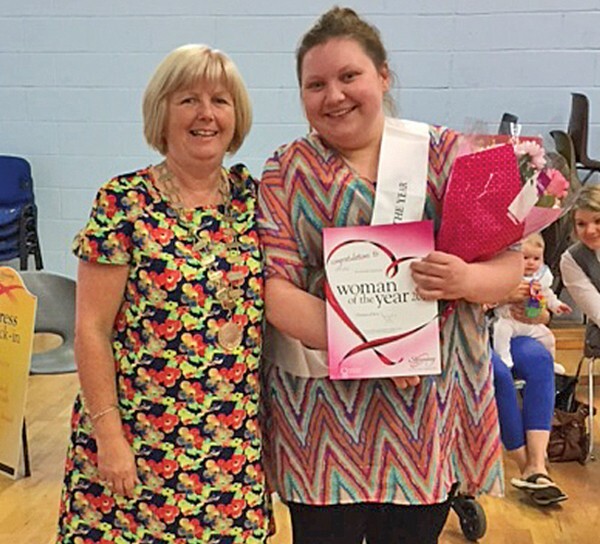 Ringsend Lord Mayor Alice Foley with Aine O’Reilly, one of the winners of this year’s Slimming Woman of the Year awards. 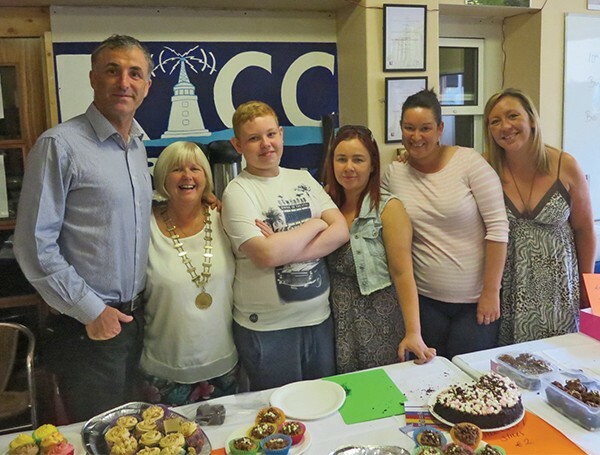 A coffee morning was held in Ringsend and Irishtown Community Centre in aid of Pieta House, Suicide and Self Harm Prevention Centre Finglas and raised €730.10. Thanks to all who baked, ate and donated! Pictured are Cllr Chris Andrews, Lord Mayor of Ringsend and Irishtown Alice Foley, Cian Cross, Sue Cross, Vicki Bissett and Jennifer Betts.